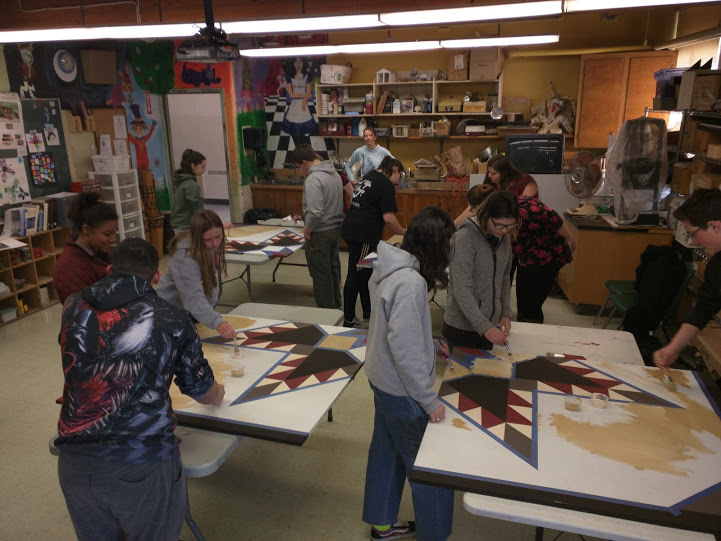 Phillips, Maine — The High Peaks Creative Council (HPCC) is collaborating with schools and cultural organizations in North Franklin County on a project to join the American Barn Quilt Trail. Painted quilt blocks, displayed on barns, are now in 48 states. Over 7,000 paintings of quilt designs are part of organized trails in the United States. The motivation for this project was to support the mission of the HPCC: Connect regional arts and cultural organizations around creative public projects that benefit quality of life and supports resiliency in the local economy. “The vision was to link American traditions of quilting and agriculture; to celebrate two parts of rural culture together. 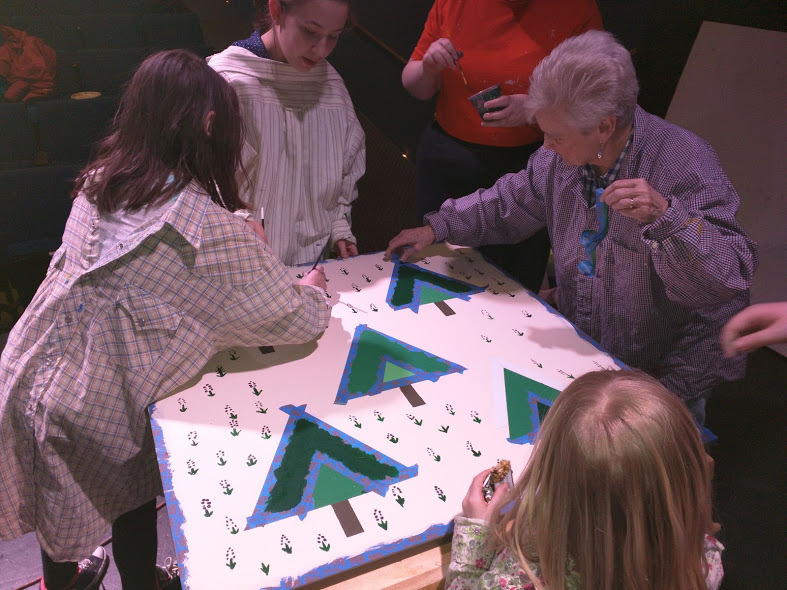 Having hundreds of children participate in the creation of the barn quilt trail increases quality of life for the community and will support economic development in a way that has not been tried here before,” said Saskia Reinholt, director and founder of the HPCC. 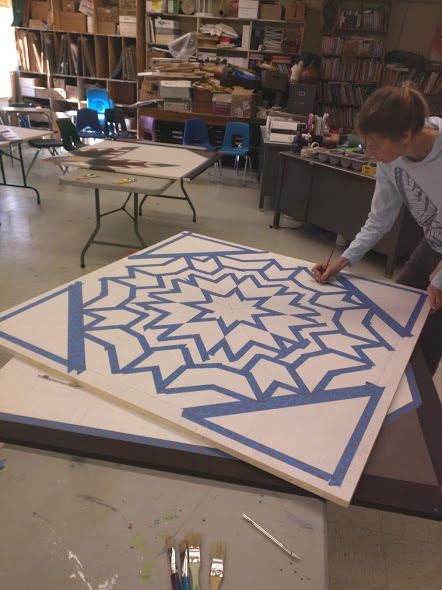 In November 2017, Reinholt designed and proposed the community-based public art project and began seeking support for the creation of a barn quilt trail. 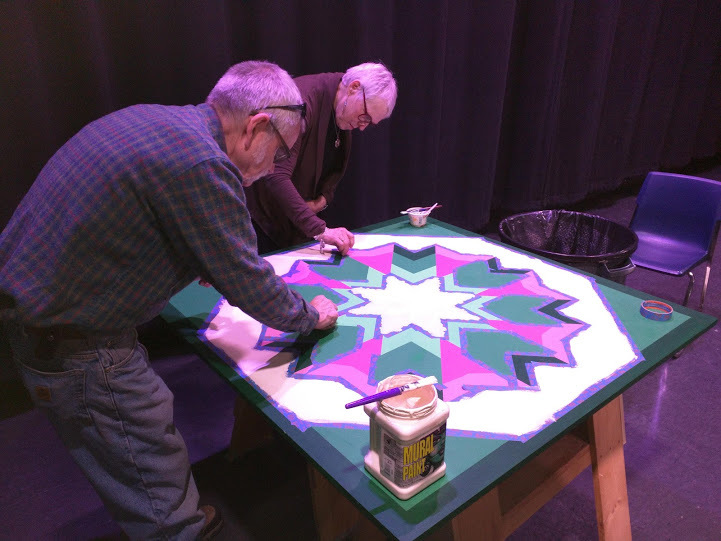 The HPCC has received funding from the Maine Arts Commission, the Maine Community Foundation, Skowhegan Savings Bank Charitable Foundation, Sugarloaf Charitable Trust, The Betterment Fund, and the Franklin County TIF fund. Reinholt worked with the Phillips Historical Society and the Rangeley Lake Regional Historical Society to photograph their quilt collections and reproduce three historic quilt designs; for each Historical Museum in Phillips and Rangeley and for the North Franklin Agricultural Building in Phillips. In total, the group has plans to create just over twenty barn quilts. “Youth who have access to strong foundations in learning arts in school and in the community enjoy the benefits of developing creative thinking skills that are often attributed to higher academic and vocational performance. 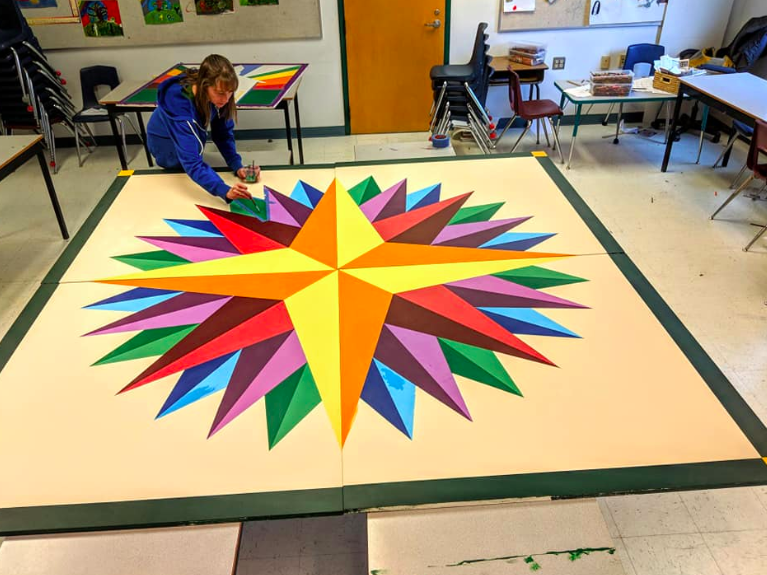 Arts activities encourages independent problem solving, self-expression and healthy pathways,” said Reinholt. Results of a 2012 study of 13,560 students show the marked impacts of arts and creative activity on Maine student SAT scores. Scores of students with no visual or performing arts courses were at times 200 points lower when compared to the scores of students who did have visual and performing arts courses. 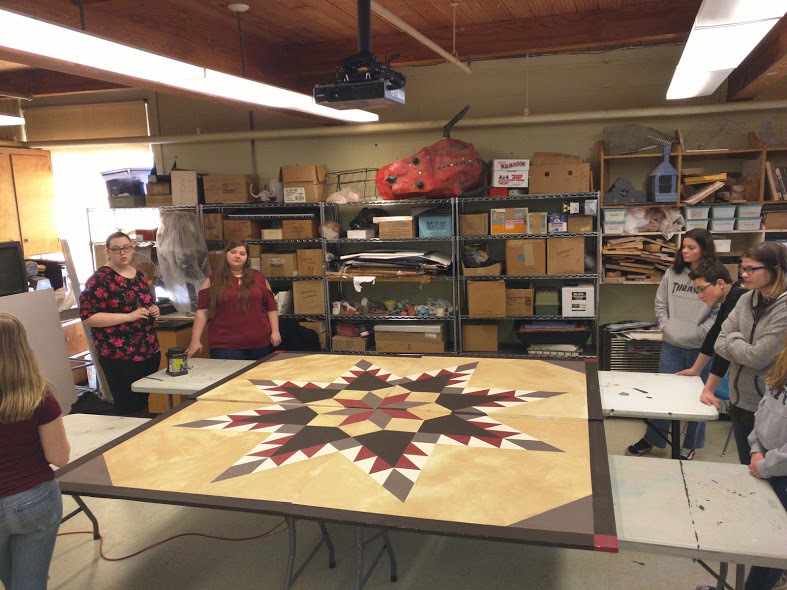 Reinholt plans to dedicate the barn quilt trail in memory of her mother, Frances Eleanor Haugen, a master quilter who passed away in January 2019. For more information on the project please contact Saskia Reinholt at 207-218-2072.